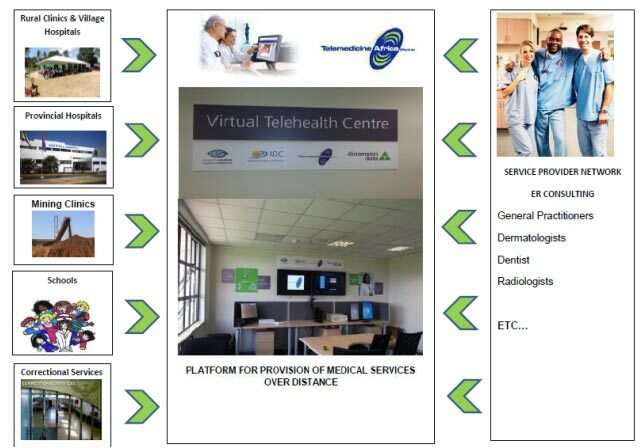 Telemedicine Africa, in partnership with the Industrial Development Corporation and Dimension Data has established a Virtual Telemedicine Consultation Center manned by specialists and general practitioners within the various medical profession disciplines to deliver a service to referring sites connected to the Virtual Telehealth Centre. This is envisaged to be a telemedicine center of excellence where ICT and medical practice will meet and develop to provide rural, underserved impoverished communities in Africa access to general and specialist healthcare. This dedicated telemedicine facility serves as an enabler for both the public and private sector to extend the continuum of care. The facility is equipped with telemedicine equipment used by a medical general practitioner (GP) and the scheduled medical specialists to diagnose incoming cases from referring sites. It is manned by an administrator and technician who assist the medical practitioners with the use of the telemedicine equipment and administration requirements. 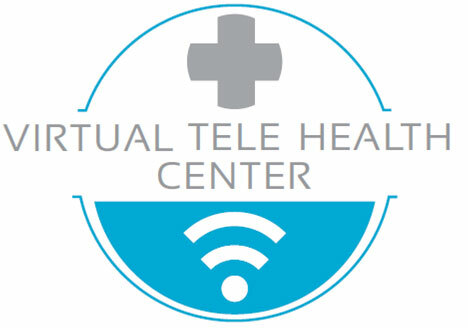 This service is available to any site once they are connected to the Virtual Telehealth Centre network and has purchased the appropriate telemedicine equipment. It must be equipped with telemedicine diagnostic equipment (Tele-radiology, Tele-dermatology, Tele-vital signs and ECG, depending on the needs) coupled with video conferencing equipment. Please contact us should you be interested in this service or require more information.